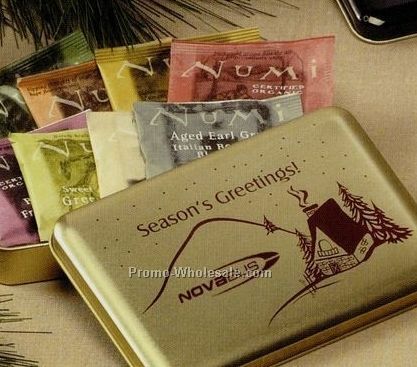 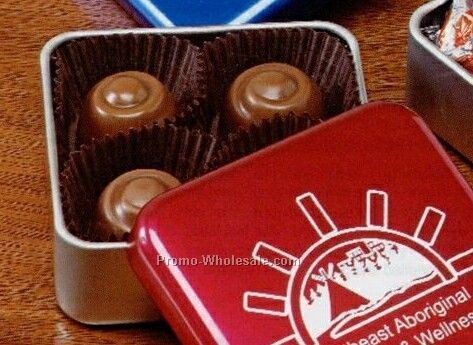 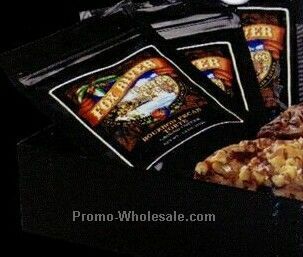 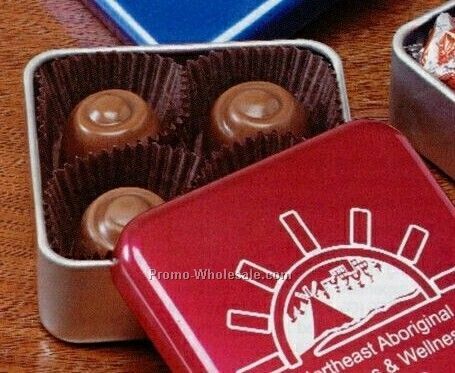 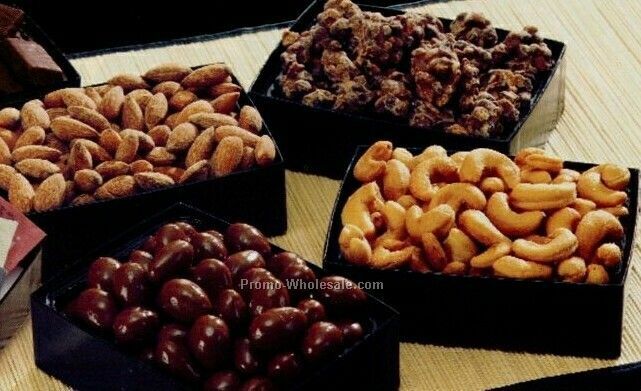 Description: Give this unique gift tin filled with your choice of truffles, toffee or organic teas. 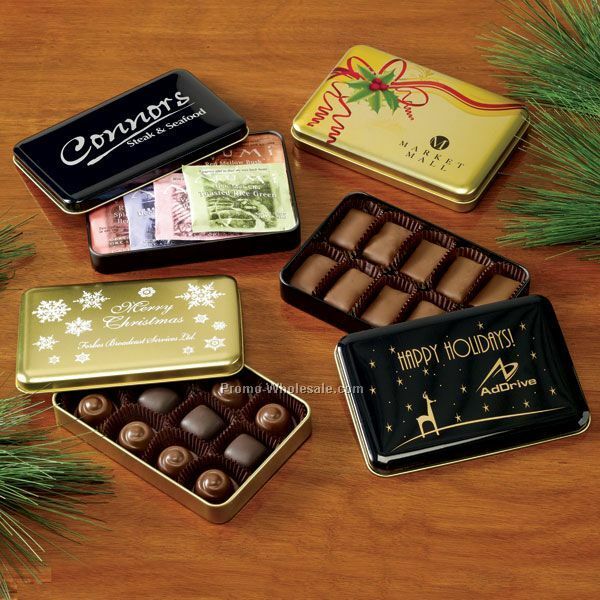 Choose one of our stock tin designs for a festive touch. 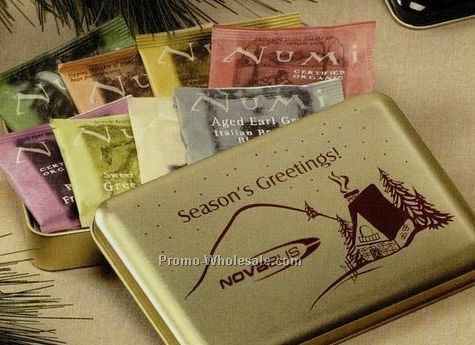 Designs include: Season's Greetings/Winter Cottage, Merry Christmas/Snowflake and Happy Holidays/Reindeer, and NEW digital Holly and Ribbon design on our gold tin.